Asset Fineline, the specialist Commercial Division of A & B Glass are delighted to have been appointed to the EPC 2017 approved supplier framework for Planned Works, Windows, Doors and Roofline. Starting this year, Broadland will be replacing PVCu windows and doors on its properties with new systems containing more than 50% recycled PVCu products. This will also help reduce tenants’ fuel bills. Broadland has awarded the contract for this substantial works programme to Thetford-based Asset Fineline, the commercial division of A and B Glass Ltd.
As part of its green agenda, Broadland is always looking at ways to reduce the environmental impact of its construction and maintenance activities and improve the energy efficiency of its homes. Asset Fineline is intending to use the Eurocell Eurologik 70 sustainable window system. 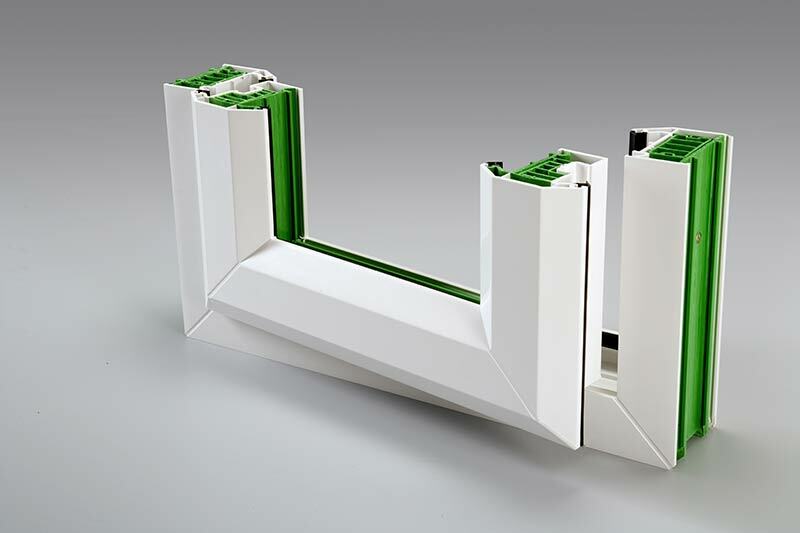 This system incorporates over 50% ‘post-consumer’ recycled PVC products in construction and includes recycled PVCu thermal inserts in the window frame to improve thermal performance. The enhanced thermal properties of the new windows will in turn help to lower tenants’ fuel bills. The contract will provide useful skills training for Asset Fineline’s intermediate fenestration apprentices, who will work alongside its experienced operatives. Trainee surveyors and administration apprentices will also gain valuable construction industry experience. “Asset Fineline has a good reputation in the industry for quality of service and reliability and is well established in East Anglia. We’ve previously used their services and we’re looking forward to further developing our relationship, working together to improve our homes. The replacement doors and windows contract was procured via Broadland’s in-house procurement team. The tender was advertised on the Official Journal of the European Union (OJEU) – a requirement for contracts of this value under the Public Contracts Regulations 2015. Broadland received 5 tenders, which were evaluated on cost and quality criteria with suppliers providing information about how they would approach tenant care, product quality, installation and environmental considerations. “We have a long-standing working relationship with Broadland and we are very pleased to have been appointed to this new framework where we will be able to continue to develop the work we have previously undertaken together. Many of the staff within the business live within the Broadland Housing area and it Is particularly satisfying to be able to work in our local community to contribute to providing more energy efficient housing for local residents as well as help in achieving the environmental and recycling goals of our new customer.